With the Ginnel Foto Fest returning to Clarkson Street in Ipswich for the third time we were keen to have a magazine ready that reflects on the stunning photographs we have shown over the past years. We pulled together a team of creative people to produce our first issue in the philosophy of the Ginnel, fully packed within a limited page count yet beautiful to look at and read our articles. With a great summer for photography in Ipswich we felt it was the right time to offer a magazine to all those interested in photography. We wanted a new and fresh magazine that celebrates lens-based media in its vast variety of current 21st century technology. We hope you will enjoy our first issue and feel encouraged to get out your camera and photograph the world as you see it. 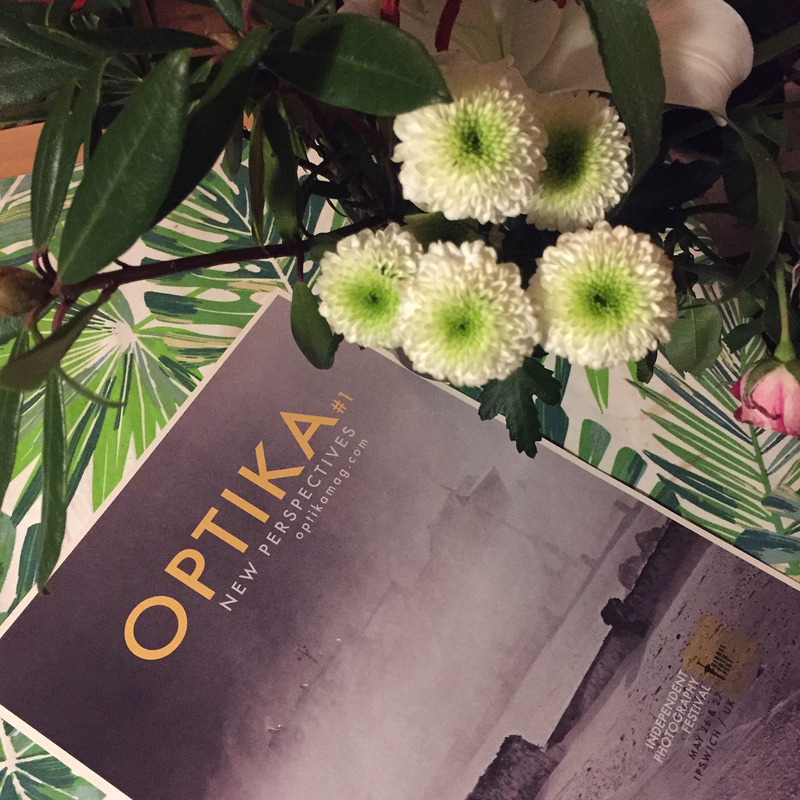 Email us you images and thoughts to optika.magazine@gmail.com and send us your feedback, too. Everyone working on Optika did so as a volunteer. Great minds and strong spirits to see us all through to this first issue. Many thanks for all your hard work. To our audience, please be respectful when communicating with us. Thank you.